A Londonderry motor trader who failed to tell a buyer that a car was an Insurance Total Loss was ordered by the District Judge at Londonderry Magistrates Court to pay £2,000 in compensation to the consumer. 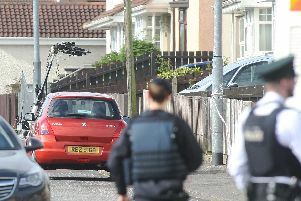 Ciaran Marcus Coyle (26), of 32 Whitehouse Park, Londonderry, was also given a two year conditional discharge. He faced three charges of engaging in a banned practice by advertising cars as a private individual when in fact he was a motor trader. A case was brought by the Trading Standards Service of the Department of Enterprise, Trade and Investment following an investigation into Mr Coyle’s trading practices, after a complaint was received from the consumer. The investigation found that Mr Coyle had sold a BMW 525D car and failed to tell the consumer that the vehicle was categorised as a Category D insurance total loss. This failure denied the consumer important information and this affected his decision on whether or not to buy the car. Speaking after the court hearing, Eamon McPartland, of the Trading Standards Service said: “Car dealers have a responsibility to ensure that all descriptions applied to vehicles are truthful and are not misleading to consumers. Trading Standards offers the following advice when buying a used car: Buy from a reputable dealer; vehicles may cost more when bought from a main dealer but they will have carried out checks on the vehicle’s history before offering cars for sale. Bring someone with you that knows about cars: Excessive wear and tear on the driver’s seat, steering wheel and foot pedals may be inconsistent with the indicated mileage. Ensure that you see all of the relevant original paperwork: The logbook, the car’s service history and MOT certificates. With this information, you can contact the previous owners of the vehicle as well as the garages that carried out the servicing work to ask questions about the history of the vehicle. Everything should be present and correct. If it is not, simply walk away from the deal. Carry out an online vehicle mileage and accident check before you buy a used vehicle. If you know the registration and chassis numbers of a vehicle, you can contact the Driver Vehicle Agency to enquire about the recorded mileage of the vehicle at its previous MOTs. The chassis number is visible on the bottom left corner of most car windscreens. If buying from a ‘private’ seller, get proof of the seller’s name and address. Finally, never buy a car from the side of a road and pay cash to somebody don’t know.